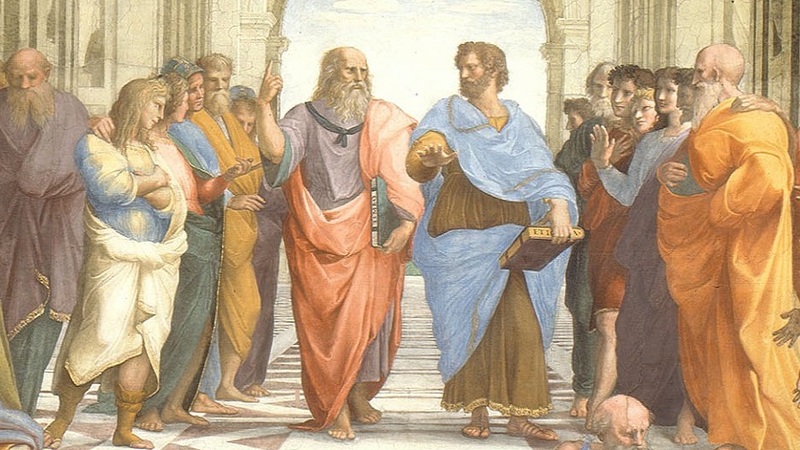 Is Philosophy A Worthless, Waste of Time? An argument that I've seen cropping up in recent years, typically from very science-oriented people, is that philosophy is a worthless, waste of time, especially when it's compared to science. Regular readers know that I'm a tireless champion of science, but I strongly disagree with this view of philosophy. I think that it largely originates from a misunderstanding of what, exactly, philosophy is. So let's start by first looking at the main branches of philosophy and asking if they are, indeed, a waste of our time and energy. Let's begin with logic, which is the study of valid reasoning, where you learn things like how to construct valid and sound arguments, recognize invalid arguments, detect logical fallacies—things of that sort. This is tremendously important. No matter what it is that you do in life, if you're going to be disagreeing with other people at any time, if you're ever going to be arguing in favor of a certain position, it's incredibly useful to know how to do this effectively, and to know how to evaluate counter-arguments and point out their flaws. And there's much more to this than just proving somebody wrong on a trivial matter; this really gets at the heart of human progress, because meaningful change in history almost always results from a struggle. Yes, a lot of this has involved physical battles, but the backbone of societal change is the battle of ideas that's always going on. People's attitudes change on important issues because they get persuaded through argument, perhaps by some notable person, or just as a result of the day-to-day conversations and arguments that ordinary people have. So the more skilled you are at arguing in favor of your position, and explaining the problems with its antithesis, the more you'll be able to contribute to this general trend of societal progress. So who could say this is a waste of time? How would the world be better off if people were worse at evaluating and constructing arguments? Another branch of philosophy is ethics: the study of right and wrong actions. Some of the questions posed in ethics are: How does we determine if an action is right or wrong in a given situation? What sort of things are most important when evaluating actions: Consequences? Intentions? Obeying rules? A mixture of these and other factors? Do we act freely or are actions predetermined? Then there's the closely-related field of politics, which is the study of force and influence in society, where we ask questions like: What sort of a society should we construct? What should be the functions and limitations of government? What laws should we put in place? Ethics and politics are incredibly important fields. Many of the most consequential questions that all of us spend time arguing about fall squarely within this territory. For example: When is it justified to go to war? How much collateral damage is acceptable? Is torture ever justified? Should we drop a nuclear bomb on Hiroshima? Should gays be allowed to marry? Is abortion wrong? Should adults be free to use drugs? Should people be allowed to enslave others? To what degree should freedom of speech be limited? Should polygamy or prostitution be legal? When is violence against others justified? This is just a tiny sampling from the pool of ethical and political questions that people have debated over the years. The answers that we arrive at have consequences for each and every one of us. The conclusions that we reach on these topics determines the sort of conduct that's permissible in society. It is anything but a waste of time to debate these questions. Another main branch of philosophy is metaphysics, which is the study of existence. Some of the questions asked are: What exists? What does it mean to exist? How should we classify things that exist? Another branch is epistemology, the study of knowledge, where we ask questions like: What does it mean to know something? How do we go about acquiring knowledge? What are the limits to our knowledge? These sorts of questions are the bedrock of all inquiry; they're the essential starting points. These are some of the most fundamental questions that we can ask. Some other important questions are: Does a god exist? What about an afterlife? How do we know if these things exist? How can we go about determining whether or not these beliefs are justified? And the answers to some of these questions wouldn't just be interesting to have; the views people have on them can be extremely consequential. Take the existence of god, for example. A lot of death and suffering has been the direct result of people acting in accordance with what they thought was the will of the god that they believed existed. But even the more abstract epistemological and metaphysical questions I think are fascinating and worth pondering: For example, how do we know that we don't live in a Matrix-like computer simulation? Do we know for certain that the people around us actually exist? Sure, these aren't the sort of discussions that are going to cure cancer or save lives, but they're still incredibly captivating and worth having, in my view. Finally, there's aesthetics: the study of beauty and art. This topic, I admit, I don't really care much about; I don't think it's terribly important. I understand that a lot of people are interested in it, but I've just never really been a very artistic type of guy. I mean, I do enjoy looking at images from the Hubble Telescope, for example, but I don't really feel the need to put pen to paper and argue about the beauty of what I'm seeing. If people want to argue about and discuss aesthetics, they're free to do so; I won't try and stop them. I'm just personally not interested in this branch of philosophy and don't think it's very important. But, as on any topic, if anybody disagrees with me here, they're free to try to convince me otherwise. Now, let's move onto science, because, as I mentioned in the beginning, it's always been very science-friendly people who I've heard make some variation of the claim that philosophy is a worthless, waste of time. First off, I find it extremely ironic that many who make this argument spend a lot of their time arguing and actually end up hitting just about every major branch of philosophy along the way! They'll say that philosophy is worthless, and then they'll turn around and go argue about questions of metaphysics, epistemology, ethics, politics, and logic: "Philosophy is a waste of time!...Oh, you think a god exists? How do you know?...It's wrong to circumcise your children!...There should be separation of church and state!...Wait a minute, Mr., you just used a logical fallacy!" Whether or not these people know it or like it, they are philosophizing just about every day of their life. I would argue that philosophy and science share the same core goals: to ask questions, and to attempt to accurately answer these questions. The different fields of science and the different branches of philosophy obviously ask different questions, but this shouldn't at all surprise us or be counted as points against philosophy. They're just different domains of inquiry. "Is this a right or wrong action?" or "What's the best way to structure society?" are just different kinds of questions than "To what degree is the environment responsible for morphological variation" or "What's the precise mechanism that causes a supernova explosion?" And how we go about answering these questions usually differs, because science is generally much more empirical than philosophy. There's this pervasive viewpoint that because questions in philosophy aren't answered empirically, or in the laboratory, as reliably and cleanly as scientific questions are, this means that philosophy is inferior or even just not worth our time. But that's just the nature of the sort of questions they ask: scientific questions tend to have straightforward answers that may require careful research and study, whereas philosophical questions tend to be more complex and harder to give such a clean and precise answer to. Both of them are still valuable spheres of inquiry. Philosophy and science are both dealing with important questions; the questions are just different, and how we go about answering them is generally different. There's no scientific study you can design that can tell us whether or not abortion is wrong. It's not like you can just walk into the laboratory and design an experiment to answer whether or not prostitution should be legal. These are just different kinds of questions; I can't stress that enough. Now, some argue that science may one day be able to answer ethical questions of right and wrong. Many of you, I'm sure, have read Sam Harris's book The Moral Landscape in which he argues precisely that. But until the day comes that we establish a reliable scientific methodology to answer questions of right and wrong, these are going to be philosophical arguments—not scientific arguments. And don't get me wrong: I'm not denigrating science here when I say this; I'm just honestly recognizing its current limitations and preoccupations. I would also argue that, despite their differences, science and philosophy are interconnected. They overlap with one another, and mutually inform one another: scientific findings are used to bolster positions in philosophy, and philosophy is used to motivate scientific research and augment scientific debate. Let's look at the abortion debate, for example. This is clearly a subject of ethics and politics. But it's also a subject which the process of science can inform us about. For example, research can tell us at what age the fetus develops sufficient neurological capabilities to feel pain, have emotions, or be conscious. These are important facts that can help us determine our views on the question of abortion. And the ethical debate itself can stimulate interest in this sort of scientific research. Let's look a bit closer at how philosophy is useful in science. Let's start with logic. Obviously it's helpful to be able to accurately scrutinize the arguments made by your scientific peers, and to not make sloppy, fallacy-riddled arguments yourself when publishing your findings or defending them publicly. But logic is also useful to science in a less direct way than this; if you're arguing in favor of scientific funding for certain fields of research, or if you're arguing against proposed laws to prohibit certain types of research, good reasoning skills are going to be nothing but helpful. There's also even a direct bridge between science and philosophy here: some specific types of logic are actually essential in certain fields of mathematics and computer sciences. What about ethics? Well, when designing certain experiments, it's crucial to consider whether or not the experimental protocol is unethical in any way. For example, most of us would consider it wrong to strap living, breathing humans into cars and smash them into the wall at 45 miles per hour to test out the latest safety features. Most of us would consider it unethical to require a group of experimental subjects to smoke a pack of cigarettes a day for 10 years so that we can discover what happens to their health relative to a control group of non-smokers. And ethical concerns are sometimes what inspire scientific research in the first place. For example, they study of what chemicals are used in fracking could be motivated by an ethical concern that people are needlessly dying from being exposed to them in their water supply. How about politics? Well, the way we structure society has a huge impact on science. For starters, if we had laws that prohibited scientific inquiry altogether, we wouldn't even be allowed to do science. More practically, the way our political system is organized can influence the allocation of funds to research in certain fields of science, and it can also influence the type of research that's allowed. For example, depending upon the structure of our political system, stem-cell research might not be funded by the government, and might even be prohibited. As another example, Galileo in 1616 was forced to recant his belief in the heliocentric Copernican theory, and he was prohibited from teaching it because the Catholic church at the time viewed this as heretical. As a final example, many modern-day creationists want to prohibit the teaching of evolution in schools and instead favor teaching creationism. So the political structure very heavily influences the funding and boundaries of scientific researching and scientific education. And science, of course, can push back and influence public policy. If researchers discover, for example, that the temperatures of the atmosphere and oceans are increasing as a result of human greenhouse gas emissions, we would hopefully clamp down on these emissions through public policy. If scientific research discovers that a chemical additive in certain foods is harmful in some significant way, we might make it illegal to use this chemical anymore. Now, let's examine the remaining criticisms that are leveled at philosophy and used to support the claim that it's worthless or a waste of our time. One that I hear a lot is: Philosophy has outlived its usefulness. Questions that philosophers used to debate are now viewed as scientific questions. Therefore, philosophers should just step out of the way and let us do our science. This criticism doesn't have it all wrong: Until the late 19th century, science wasn't even called "science"; it was called natural philosophy. Inquiry into the natural world used to just be seen as a part of philosophy. But since then, science has budded of from philosophy to the point that it rightly now has its own, unique name. Now, on some questions, this criticism is correct. For example, the origin of the universe is a puzzle that the astrophysicists should be trying to solve. But, aside from theologians, most philosophers are perfectly comfortable allowing the scientists to address the scientific questions. It's not like there's this epidemic of philosophers trying to barge their way into scientific conferences and lecture the scientists about their domain of expertise. And just because some questions that used to be debated philosophically are now viewed as scientific questions doesn't mean that philosophy as a whole is obsolete. Ethics, politics, and logic are still very vibrant, useful, contemporary fields. Another popular criticism is: Some of the big questions in philosophy have been debated for centuries and philosophers still haven't arrived at any agreement. My response is: So what? Why would consensus be the metric that we use to assess whether or not philosophy is worthwhile? As I mentioned earlier, many philosophical questions are very complex and difficult to answer; they don't have the sort of straightforward answers that a lot of scientific questions do. But many of these questions are also very consequential, which makes them worth debating, whether or not everybody agrees on their answer. Even if your side of the argument convinces just 10% more people to change their view on some philosophical issue, this might be enough to bring about legislative change and mitigate the harm that results from accepting the wrong answer to this question. Furthermore, just because certain philosophical questions haven't yet been answered, or just because certain philosophical disputes haven't been completely resolved by unanimous agreement, doesn't mean that this won't happen in the future. Let me also add that, even if not just all philosophers, but even if everybody on the planet agreed upon the answer to a certain question, this wouldn't make them necessarily correct. It's possible that all of them would just converge upon the wrong answer. A very similar criticism is that there's no tangible progress in philosophy. While science is continually discovering more and more, and while technology and medicine steadily advance in sophistication, philosophy just stagnates and doesn't contribute anything of value to the world around us. While I've already dealt with the question of whether or not philosophy is valuable, progress is something I haven't yet touched on directly. You have to look no further in philosophy than ethics and politics to see that there has been a stupendous amount of progress. Things that people previously saw as ethical are no longer accepted in society. Slavery is no longer allowed in this country. The right to vote has been extended from propertied, white men to women and minorities. Legal marriage has recently been extended to homosexuals. The list goes on and on. A lot of positive change has been enacted over time, and many more societal problems will topple in the future. You might say: "Ah! But that's just the general changing moral attitude of the population! It's not like there was some paper published in philosophy that caused us all to change our views on these subjects! So you can't give philosophy the credit for this!" Actually, I can, and I do. A lot of people have this misconception that philosophy is this tedious activity only done by pedantic, old men wearing sweaters, sitting in leather chairs next to a dusty bookshelf where they discuss abstract, esoteric subjects that have no bearing on our day-to-day life; but, in reality, anybody who argues about questions of existence, knowledge, right and wrong, government and legislation, anybody who argues about these things is philosophizing. Sure, some are better at it than others, and some have earned the title "philosopher" through formal education and published work, but the activity itself is universal. Philosophy is something we all participate in, and we all contribute to the changing philosophical views of our time. Finally, imagine a life without philosophy, where we never debated the big questions: a life where we never argued about whether or not a god exists, never argued about right and wrong actions, never argued about the best ways to structure our society. What a bland and pointless existence this would be! If anything is a worthless waste of time, it's a life spent without philosophy.